1. In a medium sized sauté pan, brown chorizo sausage. Drain. Reserve. black pepper, freshly ground, cracked	 0 1/8 tsp. 2. In a large mixing bowl, whip eggs with salt and pepper. Reserve. 3. In a large nonstick pan, heat canola oil. Add eggs. 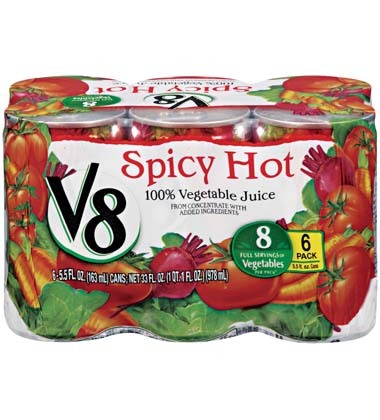 As eggs scramble, add chorizo, chopped cilantro, and V8® Spicy Hot Vegetable Juice. Continue to stir eggs as they cook to ensure all ingredients are well distributed. 4. 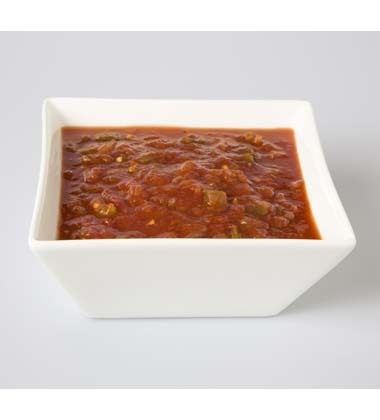 Evenly top with Pace Salsa and cheese. To Serve: Using a # 8 scoop, portion about 1/2 cup (4 oz.) 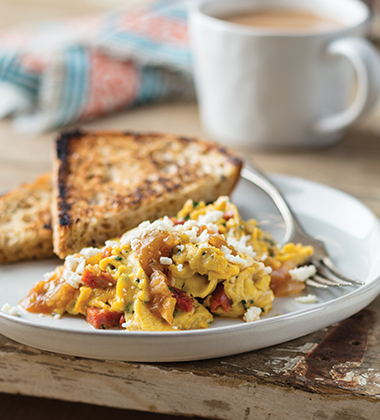 scrambled eggs onto plate. Serve immediately.